Bit Size 5/32" Minimum Embedment 1"
The Tapcon® 3/16" x 3-3/4" Flat Head standard blue are packaged 100 pieces per box with one free bit included. They are a versatile masonry fastener that can be used in concrete, brick or block. Every order will ship directly from the Cleveland, Ohio warehouse for delivery in 1 to 3 business days. The anchor is made from Carbon Steel, and is Blue Climaseal® Coated. This anchor is designed for use in Concrete, Block, and Brick. The anchor is designed for use in a Dry to Moist environment. 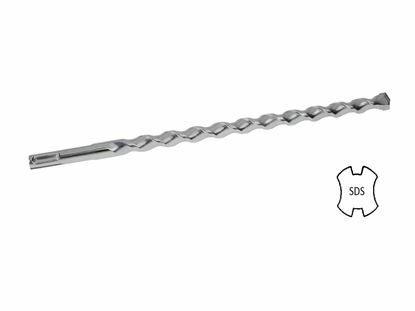 The anchor is a Flat Countersunk Phillips head and is designed to prevent the head from protruding above the surface of the item being attached. The anchor requires a 5/32" hole to be drilled in the base material (Concrete, Block, and Brick). The hole should be drilled with carbide tipped bit that meets ANSI standards and used in a hammer drill. A #2 is required for driving the anchor into the base material. The diameter of the anchor is 3/16". 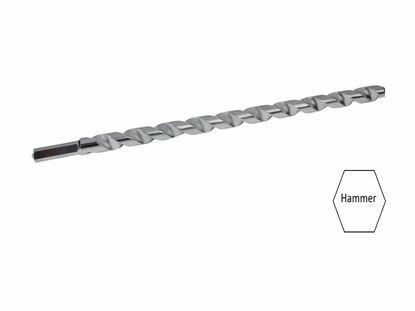 The length of the anchor is 3-3/4"
The maximum fixture thickness or the maximum thickness of the material being fastened for a anchor is 2-3/4". This will ensure that the minimum embedment of 1" will be met. The hole in the fixture or material being fastened must be larger than the designated diameter of the anchor. The 3/16" diameter anchor requires the hole in the fixture to be 1/4". Each anchor must be spaced a minimum distance of 3" from each other when measured center to center. It is very important not to install the anchor any closer than 2-1/4" from an unsupported edge of the concrete. The hole can be drilled while the fixture is in place. 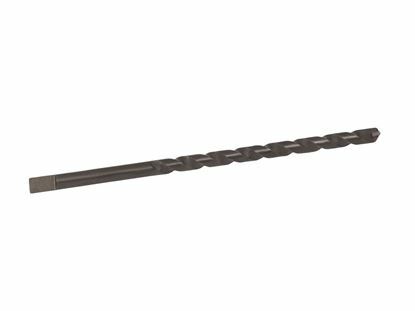 The minimum hole in the fixture for the 3/16" x 3-3/4" Flat Phillips Tapcon® Concrete Screw is 1/4". 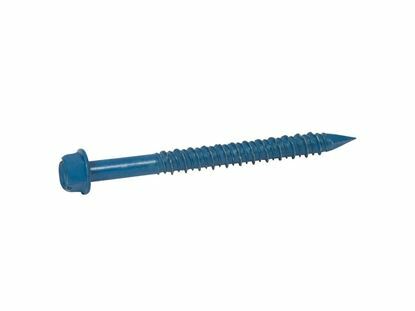 Insert the point of the 3/16" x 3-3/4" Flat Phillips Tapcon® Concrete Screw into the hole. Make sure that the screw being installed will penetrate the base material a minimum of 1" but no deeper than 1-3/4". Using a #2 bit tip Phillips bit tip for the anchor , turn the screw clockwise, applying slight pressure until the head of the screw is snug against the material being fastened.